The summer heat this year is insane! I don't recall Manila hitting 40 degrees Celsius before. But it would never be too hot for ramen. 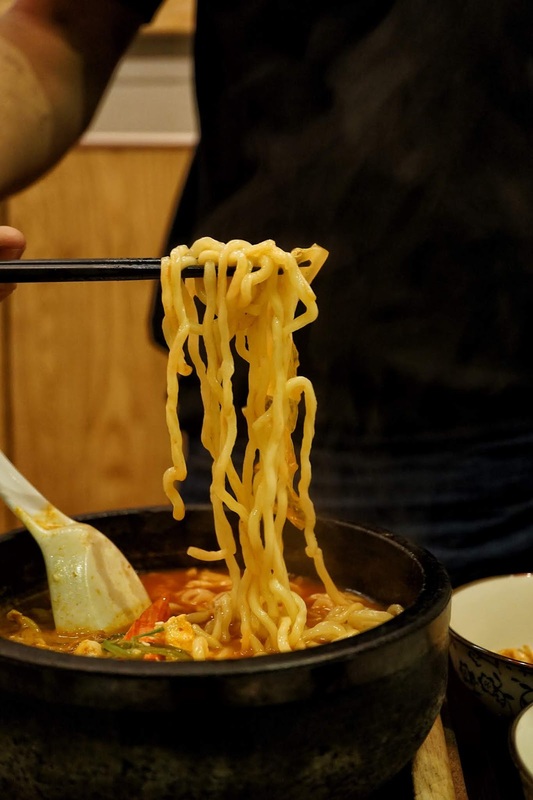 And there's a ramen shop that adds sizzle to ramen. 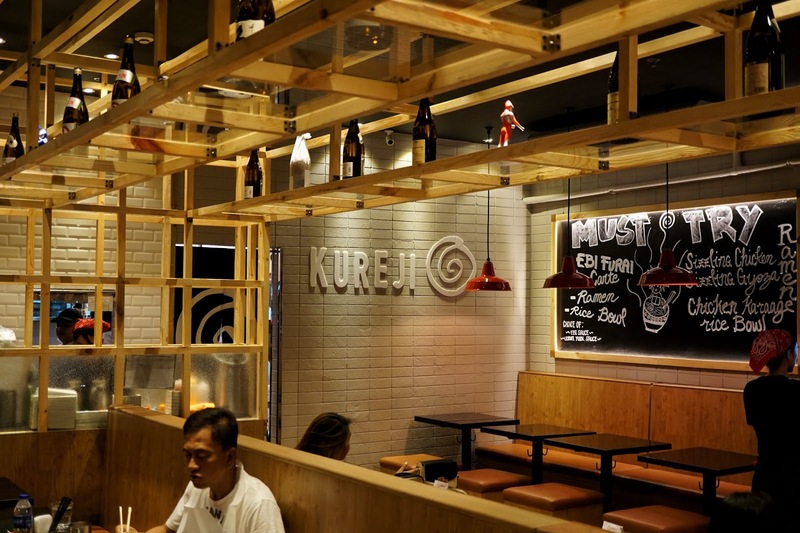 Kureji is the newest concept of Baby Spice Group, the company behind Cucina Peruvia. This time around, they decided to put a little bit of twist to some all time Japanese favorites. Fun. The three-letter word was the first thing that came to mind as soon as I spotted Kureji. 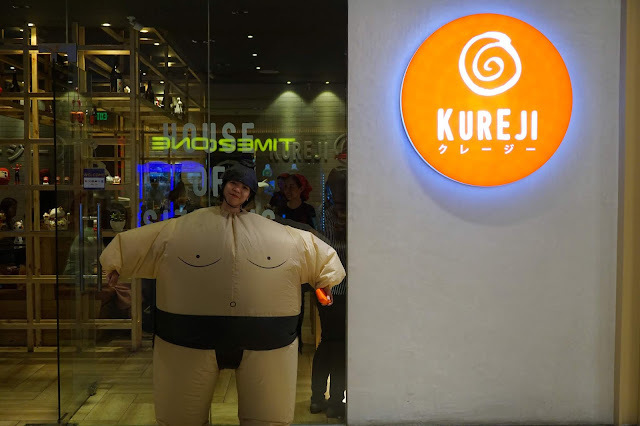 A female sumo wrestler greeted me and welcomed me inside. The interiors are a mix of traditional and modern Japanese with touches of wood and pop culture. We started our meal with some appetizers--Potato Salad (PHP180), Gyoza (PHP200), Chicken Karaage (PHP250) and Chicken Wings (PHP250). I was surprised to love the potato salad. It was your usual creamy salad with added crunch from celery bits and... edamame. 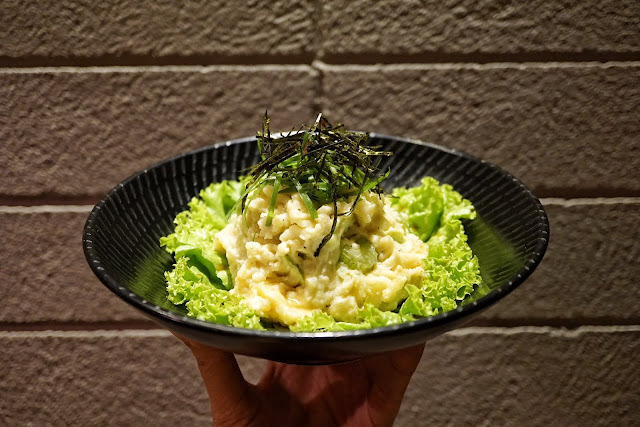 It beautifully infused something Japanese in a classic starter or side dish. 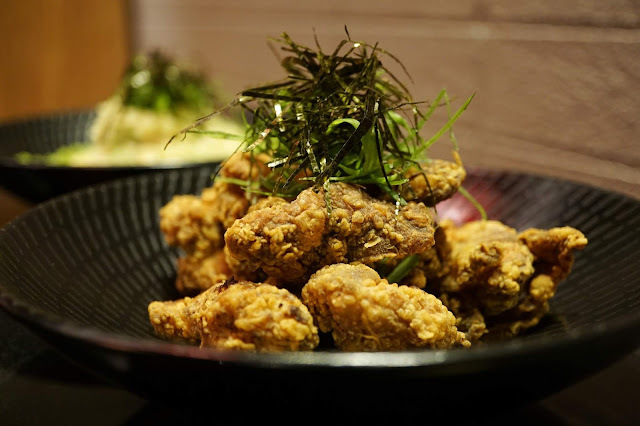 I was also surprised to love Kureji's Chicken Karaage and Chicken Wings. Both were seasoned well and the batter was crisp and enjoyable to eat. But I found Chicken Wings to be more flavorful. 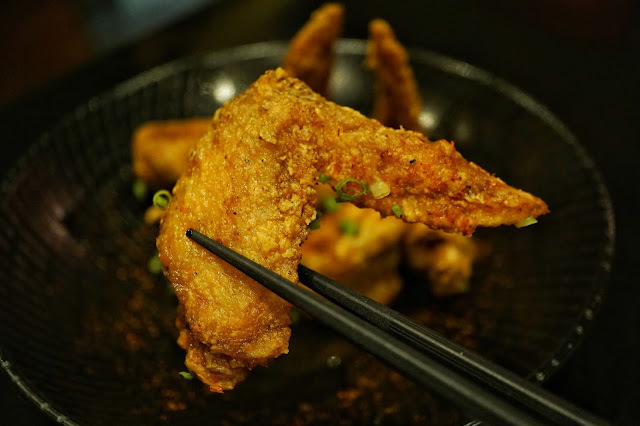 And it somehow reminded me of Genki Sushi's awesome wings. But if you prefer Chicken Karaage, make sure to dip it in the soy garlic yuzu or sriracha sauce to add flavor. 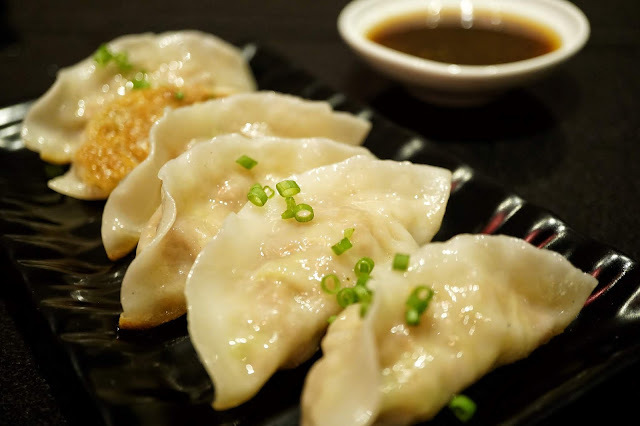 Gyoza got mixed reviews as some liked it while others didn't. I was one of those who didn't like this dish. 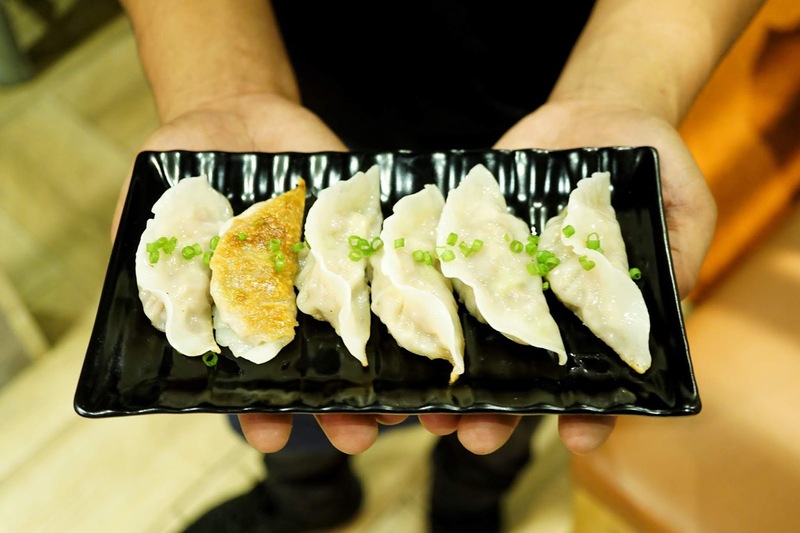 Though the gyoza wrapper had the right texture and thickness, the meat filling had that weird after taste that I disliked. It wasn't clean tasting which I love with Japanese cuisine. 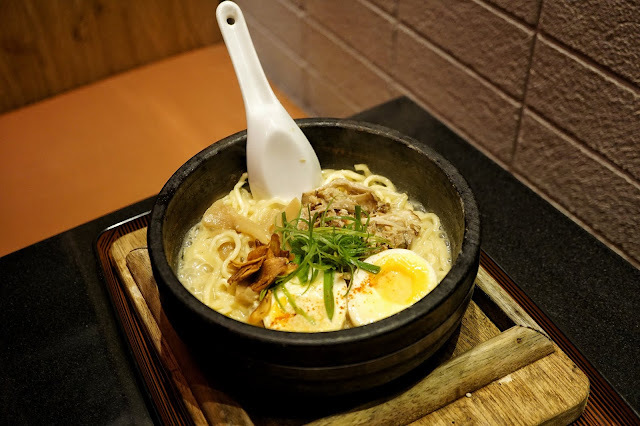 We also tried Sizzling Pork Chashu (PHP320), Tomato Seafood Ramen (PHP420), Garlic Miso Ramen (PHP380), and Tantanmen (PHP420). 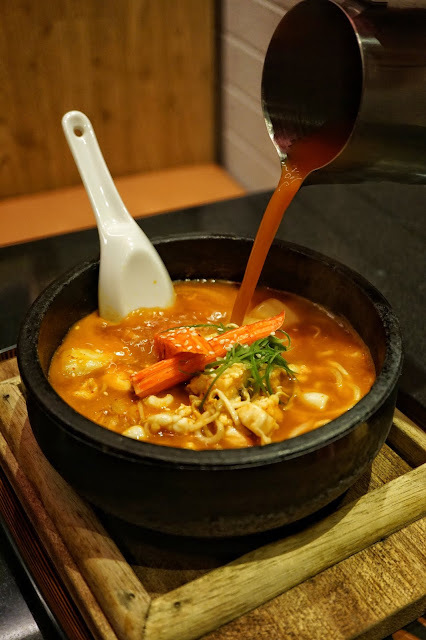 Tantanmen was served with flavorful broth and al dente noodles on the side that would make you want more. I wasn't able to get the full experience though as I missed getting some chasiu to go with my portion. 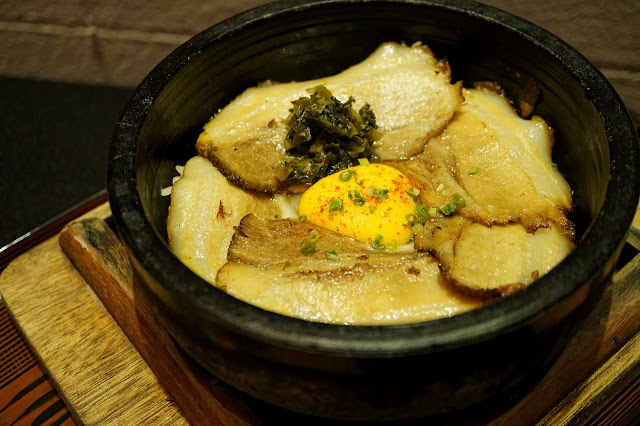 The Sizzling Pork Chashu is perfect for those fond the thin and flavorful pork. Though I found it a tad dry for my liking, everyone else seem to have enjoyed it. 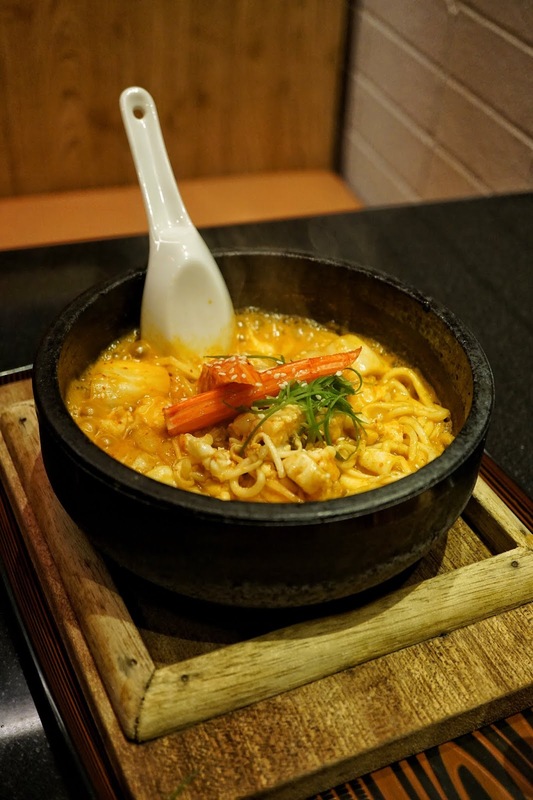 Tomato Seafood Ramen is said to be Kureji's bestseller. This blend of tomato and and seafood would definitely catch your attention with its enticing aroma. Its bright red broth could be intimidating as it could mean that it's packed with heat. But it was rather a blend of hot and sour. Kimuchi (Japanese version of kimchi) took center stage in this dish but you could still get a taste of seafood every spoonful. 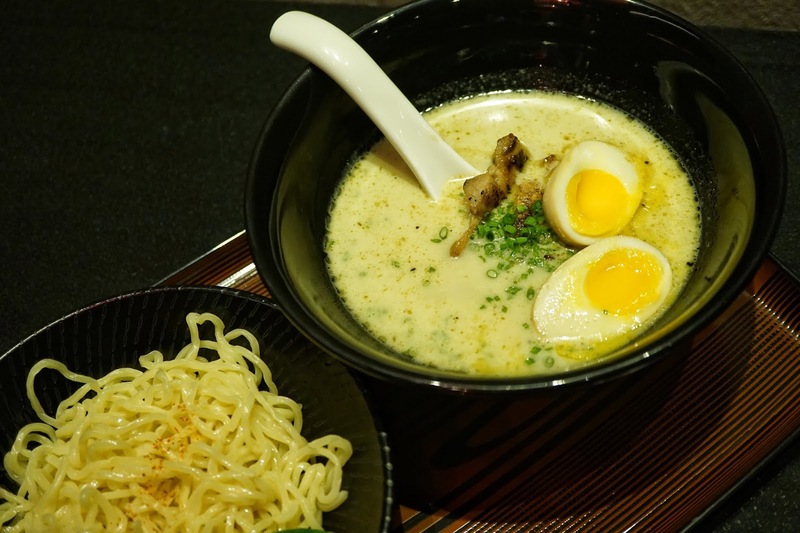 An absolute favorite of mine would be Garlic Miso Ramen. It definitely tickled the garlic lover in me with its rich broth packed with garlicky flavor. 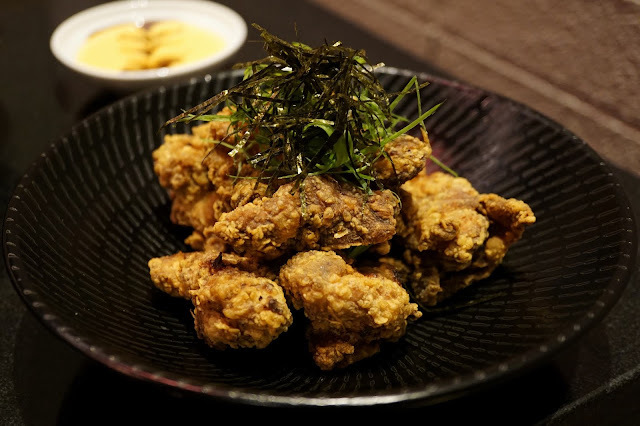 Though I don't think this is a great dish to have on your first few dates, this is one dish you shouldn't miss if you like what dear ol' Dracula detests. 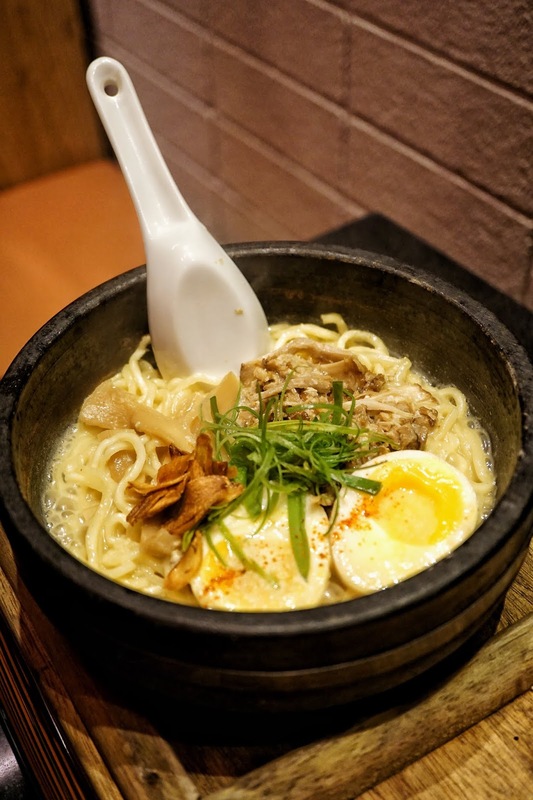 Both sizzling ramen bowls are served piping hot and bubbling in heat! It is also served with a timer which signals when it's time to add the extra broth and when it would be safe to eat. I have to admit, it was a fun and unique way to enjoy ramen. 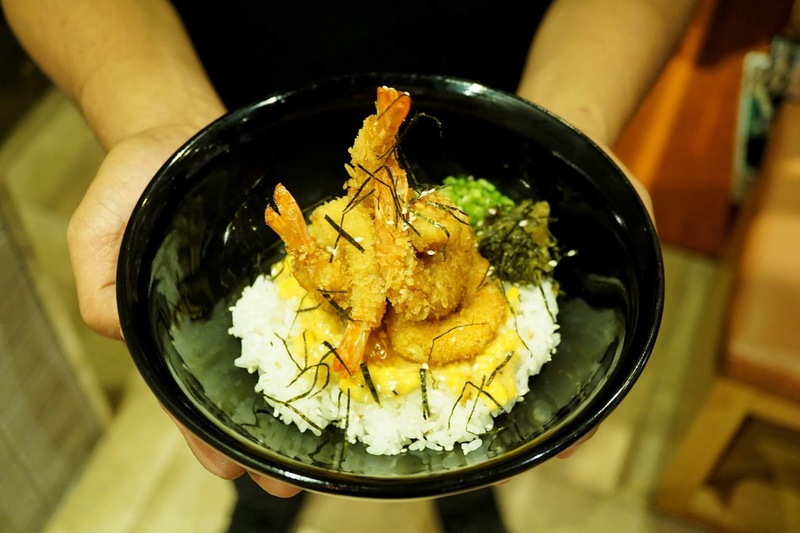 If you are not in the mood for ramen, do try Kureji Ebi Furai (PHP390) or Kureji Ebi Furai Rice Bowl (PHP360). 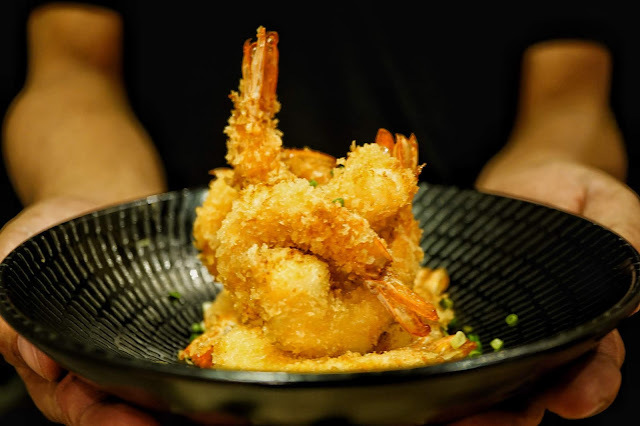 The bite size ebi tempura is great! Crunchy on the outside with its light golden brown batter and snappy on the inside. 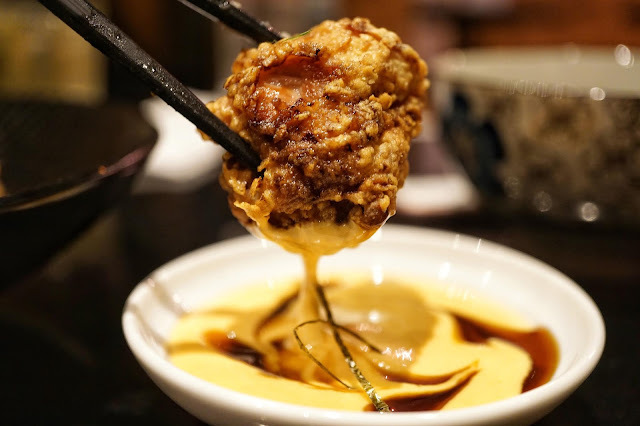 There are also two sauces to choose from, Lemon Yuzu or Ebi Sauce. I loved Lemon Yuzu as it gave the dish that delectable tanginess that goes great with seafood. 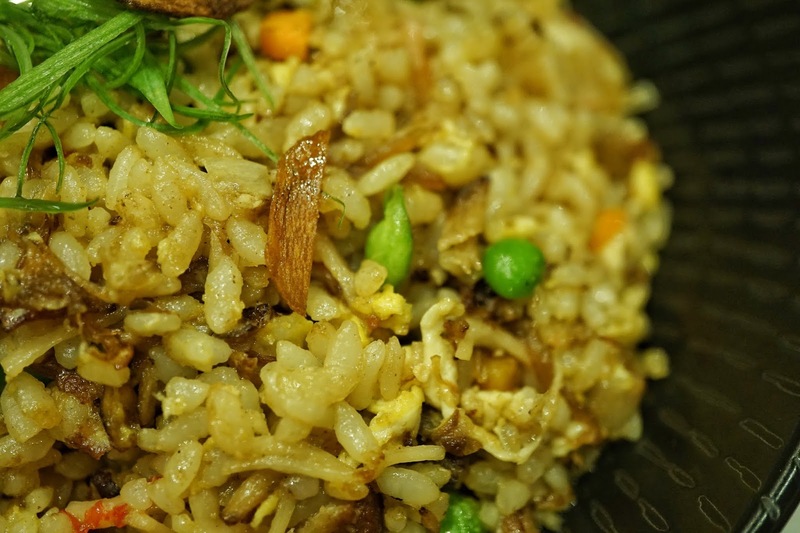 We were also served some Chahan (PH250) as you can never have enough of carbs. 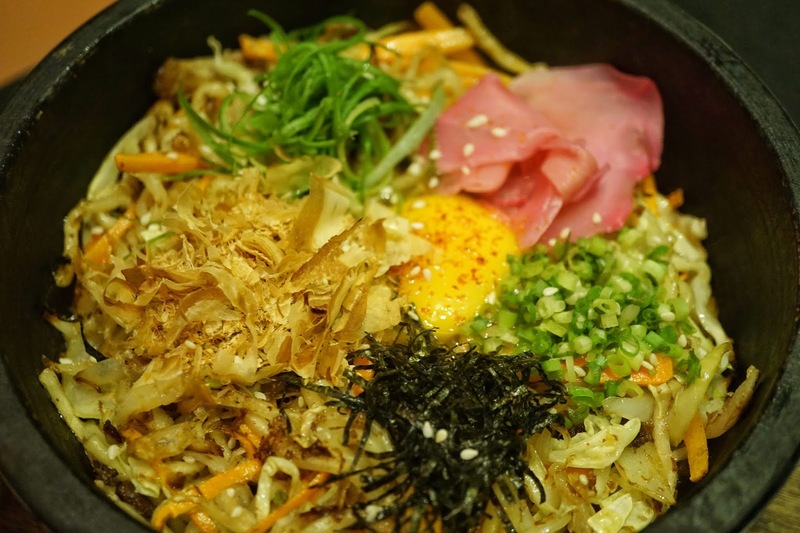 Last savory dish served was Sizzling Yakisoba (PHP350) which was pretty much your usual yakisoba, only it was served on a sizzling bowl. For dessert, we each Ice Cream (PHP120, 3 scoops). There are three flavors to choose from - black sesame, cheesecake and orange. I definitely got intrigued with orange but its taste did not meet my expectations. It tasted just like that Orange brand candy you get in supermarkets. Cheesecake wasn't made for me too with its weird after taste. 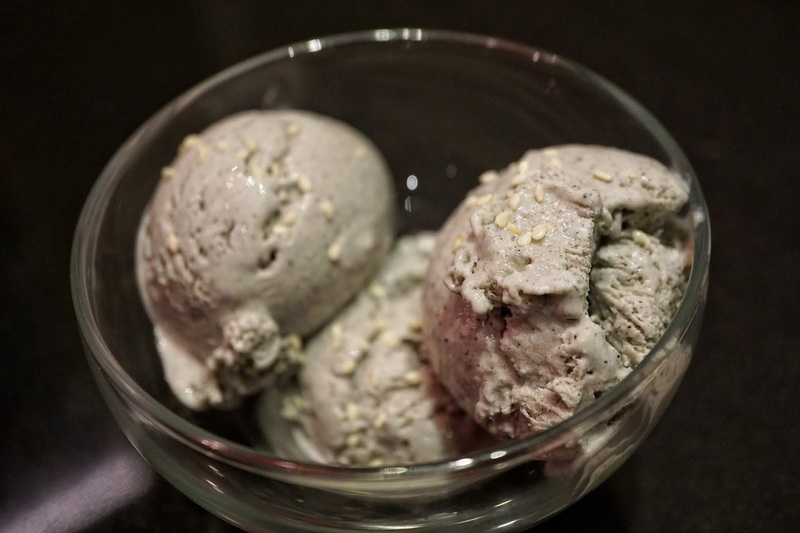 Black sesame was pretty good though with its grainy texture and balanced sweetness. Overall, it was a pleasant visit. The servers were attentive and very accommodating to our requests. I also found some favorites that I'd be willing to go back for. Thank you, Bernice and Mia for being fantastic hosts. I'll definitely visit Kureji again. Kureji is located at Japan Town @ Vertis Ginza, Level 4, Ayala Malls Vertis North, Quezon City.